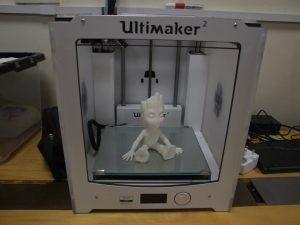 The Makerspace has only been open since January 2018 yet we have rapidly increasing equipment available for 24/7 use by members of our community. 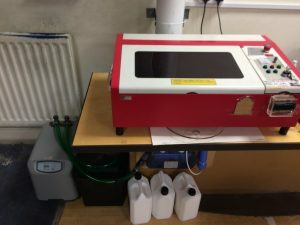 Ideal for the hobbyist, the LS3020 LSCT is an upgraded model of the popular A4 laser machine with several advantages over most entry level models. It is able to cut and engrave acrylic, MDF, laser ply, laminate, paper, card, textiles plus many more materials with its 35w laser tube. We have a large range of oscilloscopes, power supplies, signal generators, wireless equipment, breadboards, soldering stations etc. for electronic development. We have a very active group interested in AI (Artificial Intelligence), Image recognition and Voice processing. 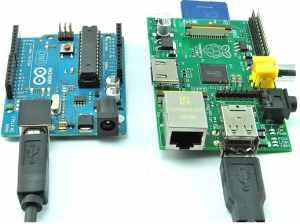 Use of Raspberry Pi and Arduino devices can be found throughout the Makerspace; implementing intelligent camera systems, driving routers, montoring 3D printing etc. Linux and Windows computers are networked to broadband internet. WiFi is aavailable throughout the building. 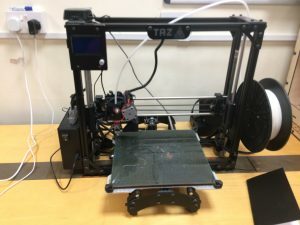 The Lulzbot Taz 4 is an open source 3D printer. It comes with a metal frame, heated build platform and has an exchangeable extruder system. Due to its active community many customizations are available online. It supports materials like PLA, ABS, HIPS, Ninja Flex and many more. Ultimaker 2+ is reliable, efficient, and user-friendly. Thanks to its support of a wide range of materials, it’s suitable for a huge variety of applications, from prototypes to customized tools. It’s a great all-around 3D printer that delivers consistent results. 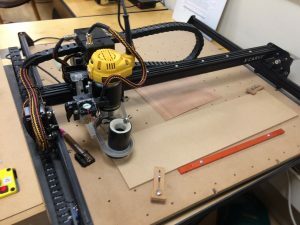 X-Carve is an open source milling machine from Inventables that powers a De-Walt 611 router with a ¼ inch collet in three orthogonal directions. It can mill a volume of 700mm x 700mm x 65mm. It is rigid enough to carve 3D profiles in plastic, wood and potentially aluminium. Stepper motors driving the router are powered by an Arduino micro-controller with a Grbl shield. The X-Carve has a strong maker community that provide regular suggestions for upgrades. This machine has a laser upgrade consisting of a 2.8W laser with a constant current driver. This allows the X-carve to engrave wood, leather, acrylics, and many other materials. It can cut thin and non-dense woods like Balsa, Basswood, thin plywood, foam and plastics. 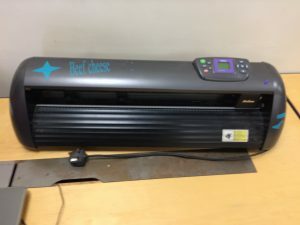 The vinyl cutter is used to cut self-adhesive designs of various patterns (typically text and logos) to be stuck on to a workpiece. For more advanced usage it could also be used to make stencils for chemical processes or paint. This capable desktop plotter is built to handle all basic vinyl graphics applications. It will cut any vinyl product you need from 60micron cast to tough reflective films and even sandblast rubber. Like the most popular vinyl cutters, It has a top speed of 400mm per second. And its integrated LCD control panel makes signmaking easy with its push button interface. 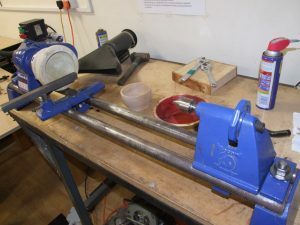 The wood lathe is complete with a large range of accessories. We have various Heavy duty rotary saws, Grindstones, Power drills, Variable speed bench Scroll Saw, Drill sharpening equipment. Plus usual maker equipment such as hammers, hand saws, mitre saws, screwdrivers, allen keys, spanners etc. We are in the process of building a well equiped photographic studio with lighting, backdrops, scattering surfaces etc.